Richard Bach completed only one year of college, then trained to become an Air Force jet-fighter pilot. Twenty months after earning his wings, he resigned. Then he became an editor of an aviation magazine that went bankrupt. Life became one failure after another. 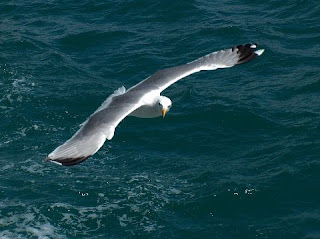 Even when he wrote Jonathan Livingston Seagull, he couldn't think of an ending. The 10,000-word manuscript lay dormant for eight years before he decided how to finish it--only to have eighteen publishers reject it before it was finally published by Macmillan. However once it was published, the book went on to sell more than 7 million copies in numerous languages and make Richard Bach an internationally known and respected author.